Integrated with other modules such as MM, PP, and QM, Sales and Distribution is used to handle the sales inventory control, warehousing, and back-office functions. This comprehensive reference includes all major concepts related to SAP SD functionality, technical configuration, and implementation. A complete glossary of terms has been included to help the reader understand the myriad terms associated with this SAP module. 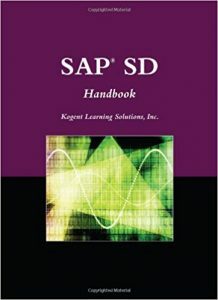 The book serves as an excellent reference for both earlier and newer versions of SAP or as a comprehensive review for certification. Topics covered include Invoicing; Distribution points; Backorder processing; Account determination; Material master; Transaction codes; Partner procedures; Rebates and refunds; Interfaces; Condition types; Inventory issues; Administration tables and more.